Blockchain and Internet of Things (IoT) startup DataBroker DAO has officially launched the IoT sensor data marketplace. DUBAI, United Arab Emirates, October 11, 2018 – For many businesses entering the blockchain space, the pressure of delivering on roadmap promises is almost equal to the success of the enterprise itself. In such a new and competitive market like blockchain, there are many concepts, solutions, and platforms that fail to break past their initial coin offering (ICO) and raise enough funds, or when they do, hit the ground with a product that isn’t quite ready, or doesn’t live up to expectation. 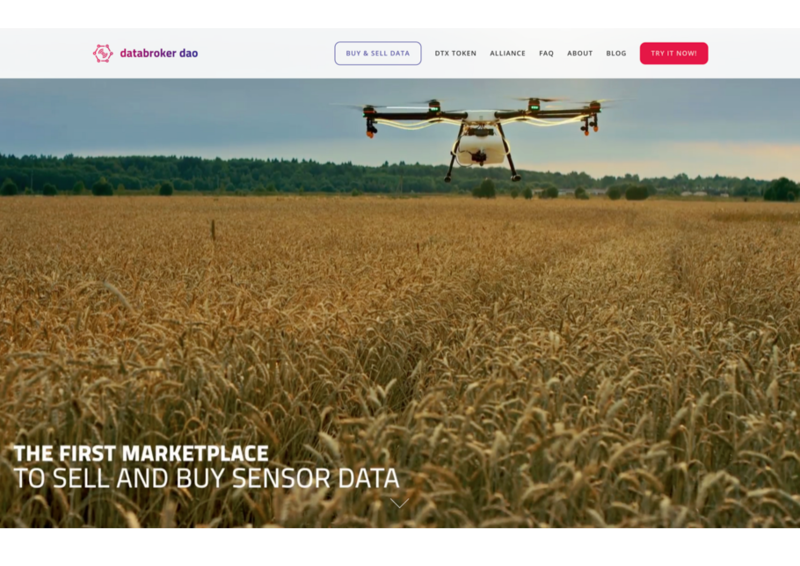 DataBroker DAO has overcome many major hurdles to see these milestones checked off, and finally one of the most significant facets of the platform and solution is here – the IoT sensor data marketplace. DataBroker DAO is a proof of concept of SettleMint; a young company focused on making blockchain accessible for all kind of organisations. One of DataBroker DAO’s blockchain developers Peter-Jan Brone has written a tech talk with regards to the many details of the platform. Furthermore, DataBroker DAO has identified many sectors and benefits of IoT sensor data and considers the platform to be conducive to scientific breakthroughs. The DataBroker DAO marketplace is where individuals, industries and organizations of any size can buy and sell valuable IoT sensor data. Since DataBroker DAO finalized the extended sale of its native DTX token on June 30th, and despite not quite meeting the target sale of 108 million DTX, the company pressed forward building several significant partnerships as well as engaging with governments and communities across the globe to see how DataBroker DAO can have a positive impact in areas of need. Earlier this year, DataBroker DAO attended the Smart Island World Congress, an event that was host to international experts seeking to discuss the challenges facing island nations and, if possible, find modern and transformative solutions to issues such as waste management through IoT sensor tech. DataBroker DAO is set to be present at many expos and events in the coming months; a notable entry in the calendar is the Smart City Expo World Congress in Barcelona which takes place from November 13th to November 15th, 2018. Here, DataBroker DAO will be part of a gigantic event that will see tens of thousands of visitors, as well as hundreds of speakers and exhibitors, gather from across the globe. DataBroker DAO will be there to discuss improving life in cities through smart technologies. Visit DataBroker DAO at the Flanders Investment and Trade (FIT) booth at the Fira de Barcelona. IoT technology is a key factor in the Fourth Industrial Revolution, an era that is soon to be realized and one that many nations including China are preparing for. China is the world leader when it comes to IoT sensor data and hardware. With this in mind, DataBroker DAO set out on a roadshow to increase presence in a country that is expected to have its GDP outperformed by IoT technologies, with an estimated growth of 20% to 30% expected by 2020. This market is presently valued at approximately CNY 500 Billion (USD 80 Billion). With the marketplace officially launched, DataBroker DAO is now set to deliver its stated aims and much more. Databroker DAO is the source of this content. Virtual currency is not legal tender, is not backed by the government, and accounts and value balances are not subject to consumer protections. This press release is for informational purposes only. The information does not constitute investment advice or an offer to invest.